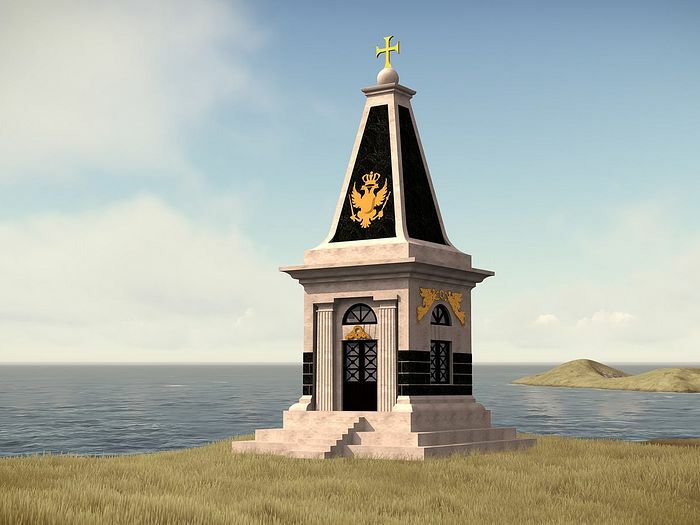 Most recently, the portal Vesti.Ru published a report by Maria Sveshnikova on the project to restore the obelisk at the burial site of Russian sailors on the island of Menorca. Portal of Orthodoxy.Ru was asked to tell about this the prior of the church of St. equals. Mary Magdalene in Madrid, Protopriest Andrei Kordochkin, the initiator of this project. - Father Andrew, how did the Russian sailors find themselves in the Spanish Menorca? - Let's remember the events that took place in Europe in this era. In 1768, the Ottoman Empire declared war on Russia. At this time, Catherine II sees its mission not only in conquering the Crimea and free access to the Black and Mediterranean Sea, but also in supporting the Orthodox peoples living on the territory of the Ottoman Empire. To this end, it decides to send an Archipelago expedition consisting of five squadrons. Bypassing Europe, the Russian fleet was to enter the Turkish rear. It is necessary to pay attention to the care of Admiral Spiridov that the ships had everything necessary for the performance of divine services. In the Russian archives his petitions have been preserved: "Although for the ships in Kronstadt the vestry consisting of parrotls and handrails and paraphernalia, the crosses and books of the prayer-bearer are known, but it is known ... adm. the collegium, which is mostly old, and ... on the expedition that has been given to me, it is necessary to have the rosary on the osms of the military vessels, and especially from them some prominent, good, identity handrails and patraheels, crosses and the monstrosities, and silver lie, and gilded, and all official and ecclesiastical books, give and about it ... the collegium I ask, that was deigned to determine and create ecclesiastical money ... and to release by the beginning of June for the sailing seven ships and one frigate ". Another archival document contains a list of the divine services that should be on each ship: "Image 1, silk ruches with mantles 1, epitrages 1, silk handkerchief 1, silk shrouds 1, chalice covers 1, priests carrying accessories 1, crosses blessed for the water consecration of silver or wooden crosses 1 silver. gilded on the Holy. gifts - 1. Books one by one: The Gospel is the throne at the corners of the Evangelists silver; The apostle, the Psalter with the last .., Oktoih osmi voices, Menaia general, Minei festive, Cervical, Trebnik, books molebnyh singing, about every petition, ordinary ship, for victory under Poltava, about rain to the bucket, Triodei colored and lean, Irmologist, Sixth Day. " 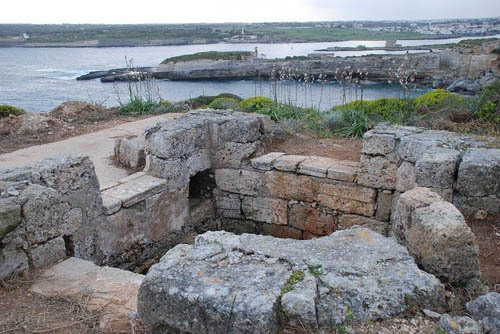 The first Mediterranean port, where the Russian fleet entered was Port Mahon (present-day Maon) on the island of Menorca. The island, which now belongs to Spain, then belonged to Great Britain. Domestic historian E. Tarle even suggested that the British crown was ready to give the island of Russia in exchange for an alliance against France, and also in the struggle for the American colonies. During these years the island was a significant Greek community, and in the center of the city there was an Orthodox church consecrated in honor of St. Nicholas. One of the most prominent representatives of the Greek community, Theodore Alexiano, became the Russian consul. Under his leadership, a hospital was built for sick and injured sailors. The dead were buried for the most part in the caves of Cala Figuera near the city of Mahon. In 1820, the French consul Foreman de Champlagar initiated their reburial, as well as the installation of the obelisk at the site of their repose. From the archives of the Ministry of Foreign Affairs of France we were given his message: "The next event made me do a thing that no one else did. In February 1819, a man digging the ground near one of the caves discovered a considerable number of bones. All gathered to satisfy their curiosity, but it never occurred to anyone to collect these remains, nor even to find out where they were buried. These bones remained there for more than 6 weeks and were scattered along the busiest road. Then I decided to collect them. I immediately began to inquire from the local to which nation they belonged, and with great satisfaction I saw that it could only be Russian soldiers, members of the campaign under the command of General Spiridov, who arrived in Mahon on November 9, 1769, and camped at this place in Cala Figer. 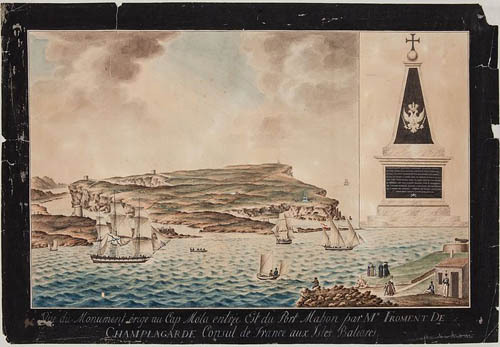 Arrived later, the Russian troops ... camped at the entrance to the port of Mahon from Cap Mulen, where these generals ordered the construction of a church, a hospital, warehouses and a cemetery, traces of which are still visible. A local legend says that after returning from a glorious march to Chesma, the troops of General Spiridov, who returned to their first camp at Cala Figuera, were the victims of an epidemic. There is no longer any doubt that most of the dead were buried in the nearby grottoes, both to avoid the difficulties associated with transporting bodies to Mahon located 2 miles away, and so as not to cause fear in the city itself. " The French consul reburied the remains of the sailors and placed an obelisk at the burial site. Subsequently, during the construction of the fortress Isabella II, the obelisk was demolished, but the Moscow State Historical Museum preserved the picture with its image. Thanks to this picture, we can talk about its restoration. - What do we know about the stay of sailors on the island? - Information about them is collected in the book of the historian E. Smilyanskaya "Russia in the Mediterranean: Archipelago expedition of Catherine the Great". So, it is known about the celebration of the victory in the battle of Chesma. "In the Greek church of the Theotokos, the liturgy, the moleben in honor of the Battle of Chesma, the" Hope of Fortunate ", 31 cannons were served. Besides the Russian officers and ministers, Mr. Magon Governor with many of his officers was also present at the celebration." Soon the day of the coronation of Catherine was celebrated, and then - the heir's birthday, and Menorca was followed by even greater celebrations. During the service, local Orthodox sang Te Deum (You, Lord. ), Along with Russian naval officers, including Rear Admiral Elmanov and on the eve of the arriving Count PA. Buturlina. Buturlin and Consul Alexiano gave a big celebration for officers this evening. The most striking, apparently, in this celebration was the illumination: on the facade of the cathedral appeared a "perspective that represented the army and the name of the Russian Empress", and "the residence of the consul was strengthened by a beautiful artificial flame that on one side devoured the Turkish mosques (option: lit lights represented with one side cross, triumphant over the Turkish mosques), in the middle of which the inscription Caterina Alexiovvona II was read. Imperatrice di tutte le Russie. Vivat. Vivat. " After the fireworks in Magon, in the house of the consul, a ball lasted until the next morning. During the holiday, two barrels of wine were exhibited to the people. Of course, the sailors not only had fun and celebrated. In the hospital, up to 300 sailors were at one time. The stay of the Russian fleet on the island was overshadowed by the death of Andrei Spiridov, the nineteen-year-old son of an admiral who died on November 21, 1769. The local museum retains the drawing of the Italian artist Giuseppe Chiesa, depicting the funeral of a young man. He was buried in a Greek temple, the fate of which was as difficult as the island itself. After the departure of Spain in 1805, the Greeks were forced to leave the island, and the temple itself was used for theatrical performances and circus performances, before being handed over to the Catholic Church in 1867, and since then there has been a parish in honor of the Immaculate Conception. Imagine for a moment: you go to the Spanish city, go to the Catholic church and see a tombstone with the inscription in Russian. When I was commemorating this place, realizing that for more than 200 years the Orthodox priest did not pray here, it was a special feeling. - How did you know about this story? - Secretary of our parish Vladimir Pototsky told me about it in general terms, and he was once told by the military attache of the Russian embassy in Madrid. He also rendered invaluable assistance to the head of the historical and archival department of the Russian Foreign Ministry A.I. Kuznetsov, who was previously Ambassador Extraordinary and Plenipotentiary of the Russian Federation in Spain. 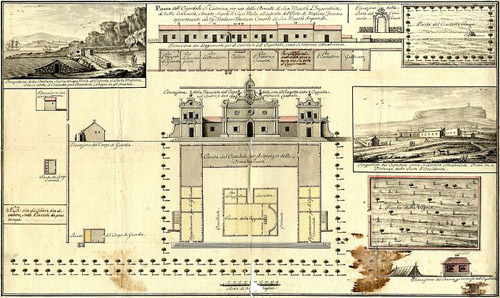 He sent copies of archival documents, among which there is even a map of the Russian hospital in the port of Mahon, depicting the buildings and cemetery located on the territory of the hospital. Thanks to the help of the current Ambassador Extraordinary and Plenipotentiary of the Russian Federation in Madrid, Yu.P. Korchagin, we managed to get copies of documents from the French Foreign Ministry, clarifying the picture of the construction of the obelisk. I am also grateful to the leaders and staff of the archive of the Russian Navy in St. Petersburg. Thanks to them we know the names of 166 sailors who died on the island. According to the report, which has been preserved in the Foreign Ministry's Foreign Policy Archive, we know the names of five more sailors. However, the total number of dead seafarers exceeds these figures, since not all ship logs have survived. - How did the project for the restoration of the obelisk begin? - In November 2014, we with Vladimir Potocki went to the island to meet with the leadership of the military museum, in whose territory the foundation of the obelisk was preserved. At first I thought about building a small chapel, but the position of the leadership was unambiguous: if you take up the job, you need to restore a nine-meter obelisk. The same position was at the Embassy of the Russian Federation in Spain. I must say that the Ambassador Extraordinary and Plenipotentiary of the Russian Federation in Madrid Yu.P. Korchagin from the very beginning supported the project and appealed to the Ministry of Defense of Spain with a request to support its restoration. Madrid architect Juan Pablo Frade developed a restoration project, we managed to obtain all necessary permits from the Ministry of Culture and the Ministry of Defense of Spain, from the municipal authorities, and construction can begin even tomorrow. - What are the difficulties in its restoration? - Since the moment we started this project, two things cause my surprise. The first is the lively response of the Spaniards to this initiative. No one is embarrassed by the fact that on the easternmost - and the closest to Russia! - The point of Spain, which is under the jurisdiction of the Spanish Ministry of Defense, will be a nine-meter obelisk with a gold cross and the emblem of the Russian Empire, which will also be visible from every vessel entering the port. Throughout the process of obtaining permits, no one tried to put us into the wheel. On the other hand, despite the most active support from the Ambassador of the Russian Federation in Madrid, Yu.P. Korchagin, as well as the fact that the project is supported by the Minister of Foreign Affairs of the Russian Federation, S.V. Lavrov, Minister of Defense of the Russian Federation, S.K. Shoigu, Minister of Culture of the Russian Federation V.R. 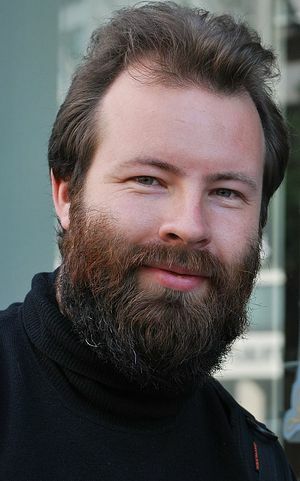 Medinsky, not a single Russian company among those who received appeals from the hierarchy of the Russian Orthodox Church and the Russian Embassy in Madrid did not consider it possible to support the project. Of course, it is not cheap. In addition to the obelisk itself, it is necessary to build an approach to it with a total area of ​​more than 750 square meters. m. But nevertheless, to brush off such a beautiful project would be from our side not only a historical forgetfulness, but also a manifestation of extreme foreign-policy short-sightedness. - What does this project mean for you personally? - It seems to me that a person who lives in Russia, feels a continuity with his ancestors, and this in many ways helps. When I arrived in Madrid, not yet beginning to study the history of the presence of the Russian Orthodox Church in Madrid, and went into the church that was set up in the former meeting room, and began the liturgy, there was a feeling that I was raising some lump. Then, when we began to restore the picture of our history, starting from the middle of the 18th century, it became easier. A separate page of history is those Russian volunteers who came here from France and other countries during the Civil War. About the Soviet military specialists who fought on the side of the Republic, everyone heard about these soldiers - almost no one, except for historians. Meanwhile, they were all Orthodox people, three times priests came to them-in particular, Fr. John Shakhovskoy. I felt duty to them until we established a cross in the place where a volunteer squadron stood in the winter, and Fr. Alexander Shabashev performed for them the Divine Liturgy. I have a similar feeling for these sailors. Who knows about them? Who remembers the name of. Joseph Zelensky - a priest from the ship "Africa", who died on the island with the sailors? .. I hope that my homeland will share this sense of duty and gratitude with me, and their memory will be immortalized.